So here is the issue, pretty obvious right? 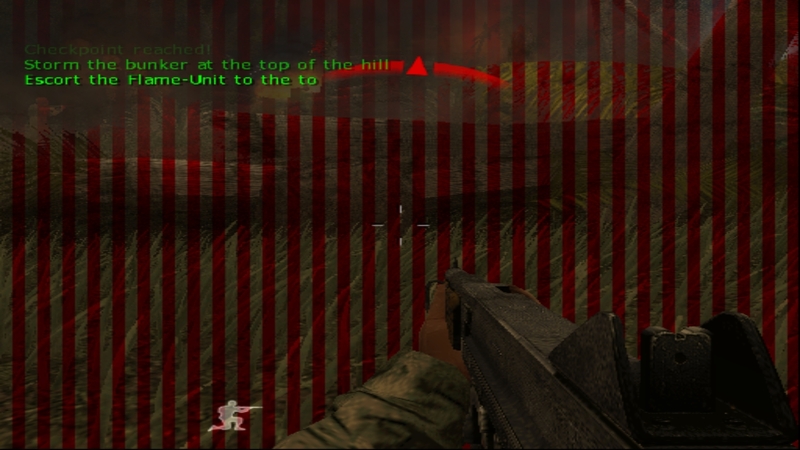 I am currently using the latest dev build of PCSX2 and the screen is fine when playing the first mission but upon starting the second mission, these red bars are here. Any fixes? Click Config/Video/Plugin Settings, for Renderer choose "Direct3D 11 (Software)". i.e. Do not use "Hardware" mode because it still has a lot of issues like this.